African Union, European Union and United Nations officials offered increased support for the International Organisation of Migration. 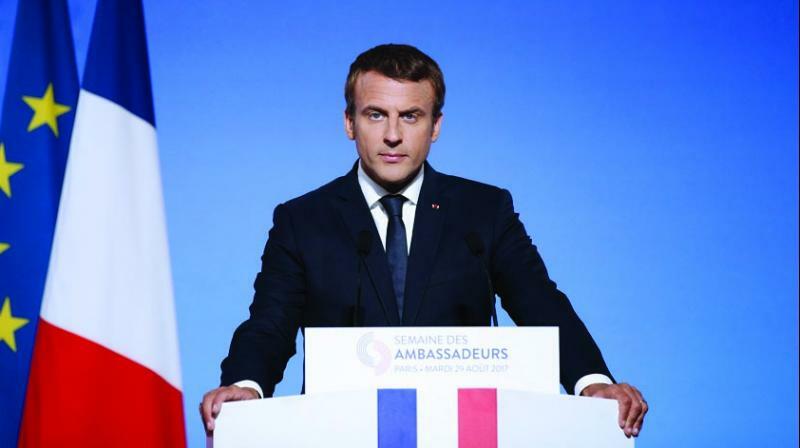 Abidjan (Ivory Coast): Libya agreed Thursday with EU and African leaders to allow migrants facing abuse in detention camps to be evacuated within days or weeks, French President Emmanuel Macron said. The decision was taken after Ivory Coast President Alassane Ouattara called for "all urgent measures" to end slave trading and other migrant abuses in Libya at an EU- Africa summit in Abidjan. The leaders of Libya, France, Germany, Chad, Niger and other countries "decided on an extreme emergency operation to evacuate from Libya those who want to be," Macron told reporters after their talks on the sidelines of the summit. African Union, European Union and United Nations officials at the meeting offered increased support for the International Organisation of Migration "to help with the return of the Africans who want it to their home countries," said the French leader who called the meeting.